Gone are the days when finding a job was about walking from one office to the next, resume in hand, and presenting yourself to the manager. Even the days of the classified newspaper ad are arguably behind us, replaced by an era in which mobile devices are increasingly coming to dominate the job-seeking landscape. 28% of Americans use their smartphones for job searching, but for young adults (age 18-29) that number balloons up to 53%, suggesting that the smartphone usage will continue to grow in importance for seekers going forward. Not only do young people increasingly rely on their smart phones to browse job ads and listings, many of them use their phones to send e-mails, fill out applications, and even create resumes and portfolios. Needless to say, this fundamental shift in the way that people seek out employment can and will have serious implications for recruiters and hiring managers. In spite of the increasing amount of smartphone usage in the recruitment process, only 35 percent of Fortune 500 companies have mobile friendly careers sites. It stands to reason based on this statistic that the other 65% of Fortune 500 companies would be hard pressed to reach younger candidates who rely on their mobile device for exactly this sort of activity. In fact, by making it difficult for candidates to apply using their preferred method, these businesses are likely alienating candidates that would otherwise express an interest an their company. Given the above example, it’s easy to see fairly immediate ways in which the standards for applicant experience are shifting. Where once it might have been acceptable to send candidates jumping through administrative hoops to successfully fill out an online application, the onus is quickly growing for companies to meet candidates where they are and to offer them the level of functionality and ease of use that they expect from other parts of the web. This means not just a mobile-friendly career website, but a clean, mobile-friendly landing page that can be reached from a relevant job ad, and an online application that can be submitted with ease even on a smartphone (something that 50% of smartphone job seekers have done). Nearly half of smartphone job seekers have reported encountering challenges accessing necessary content when applying for jobs, and more than a third report difficulty uploading files and entering large amounts of text. By helping applicants to avoid these problems by providing them with a straightforward mobile job application you can set yourself apart from the crowd and entice more high-quality applicants to engage with your brand. Of course, when discussing smart phone habits in almost any context, the elephant in the room is social media. While active job seekers will spend much of their web-surfing time on traditional recruitment sites like Indeed, active and passive job seekers alike spend time on platforms like Facebook, Twitter, and YouTube, especially on their smartphones. 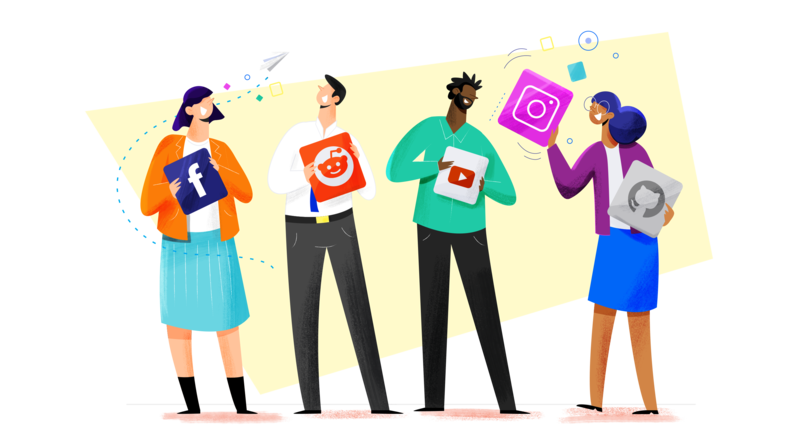 This means that your success in reaching both active and passive job seekers depends on your ability to promote your employer brand and communicate your employee value proposition (EVP) through social media channels. Again, this is task for which it’s crucial to meet people where they are. For reaching potential new hires with your employer brand, this means determining what demographics you intend to target with your messaging, and utilizing the channels that those demographics frequently use. At this point it may be useful to develop (or refer back to) employee personas, i.e. hypothetical ideal job candidates for each position you mean to fill. Using these as guideposts, you can think critically about your ideal applicants’ smartphone habits and target them specifically across all touch-points on the candidate’s journey, from initial brand awareness to later stages of the application process. Naturally, this will vary considerably from position to position. Web developers, for instance, might spend more of their time on Reddit than Facebook, while for other personas the reverse could be true. So, let’s say that you do have a mobile career site, and your application process is smartphone friendly. Are you finished adjusting your applicant experience to the technological landscape of the 21st century? Not quite. As we discussed briefly above, both of these elements make up an important part of a hassle-free candidate experience, but one of the most important lessons of the smartphone era so far has been that we need to rethink the whole applicant experience, not just individual elements of it. This is not just a matter of meeting candidates where they are, but of thinking of potential applicants as leads to be nurtured through a stream of targeted messaging. The rise of smartphones has, after all, changed our relationship to technology, so that the apps and devices we use on a regular basis are not just tools but ways of thinking, being, and doing. In some ways, the result is that recruitment has become more social than ever before, with constant communication and a steady stream of messaging being leveraged into increased application rates among qualified applicants. Where, in the past, making a phone call about a job ad spotted in the classifieds was a fairly transactional process, today’s candidates truly do want to get to know a business on a more personal level before applying. By giving them the opportunity to do so in a manner that fits their lifestyle and web-browsing habits, you position yourself to stand out from the crowd in a competitive talent market.